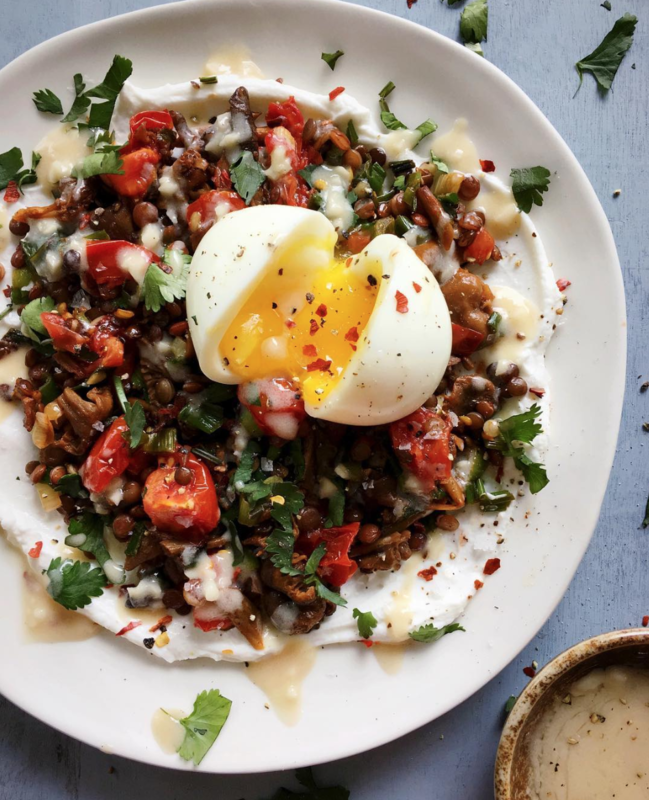 We've never met a soft-boiled egg that we didn't like, and placed atop a bed of garlicky lentils and tomatoes plus a generous smear of Greek yogurt has us sold all the way. 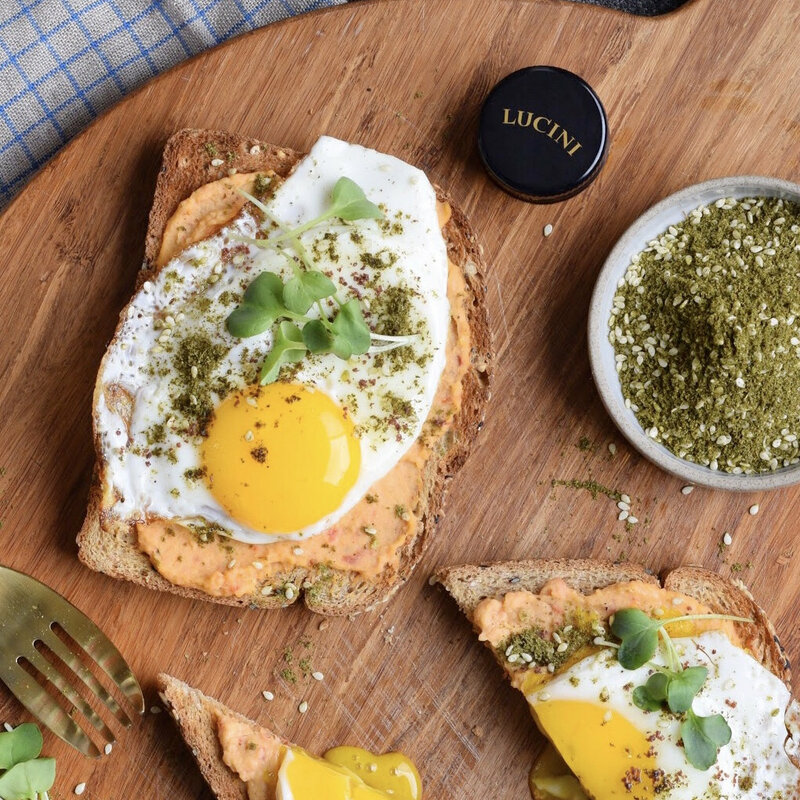 Topped with a flavorful tahini-honey sauce, this breakfast, lunch or dinner has everything that you could possibly ask for! 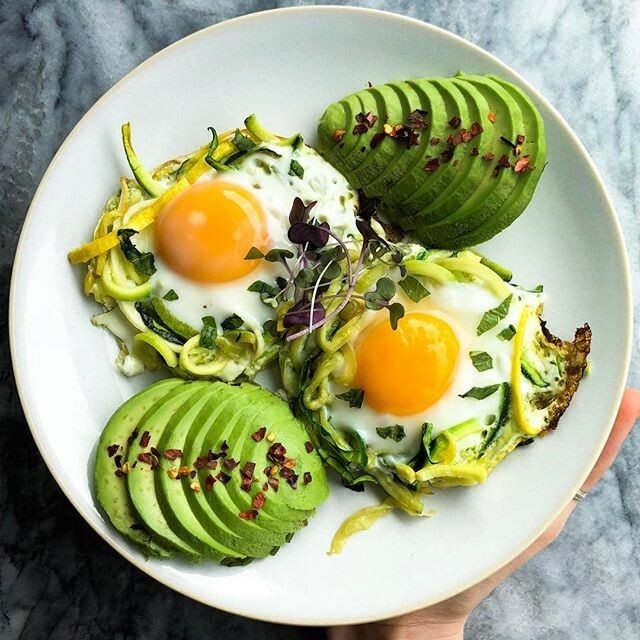 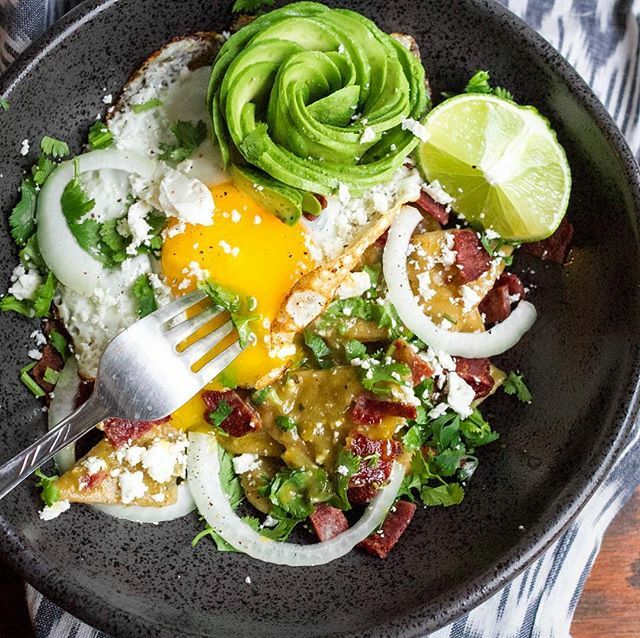 Looking for more delicious breakfast egg recipes? 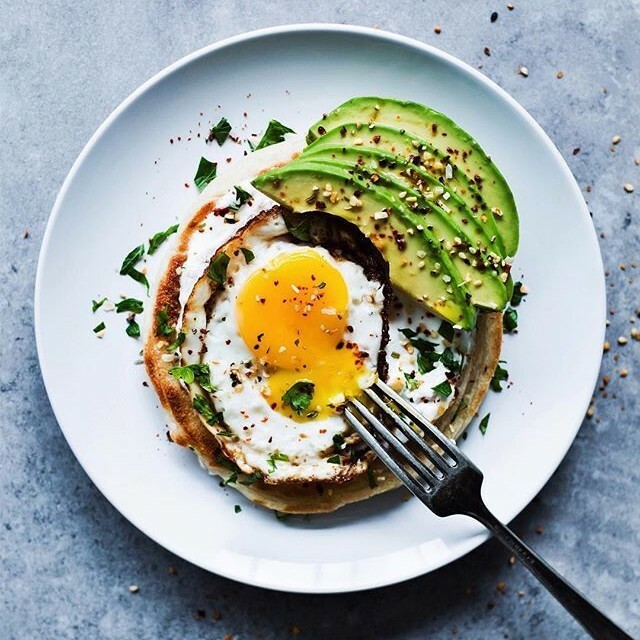 Check out a few of our favorites here!